Cement Plant Electrical Cable Cover – FCM Products Inc. This electrical cable cover was constructed in April 2009 for a cement plant in Foreman, Arkansas. 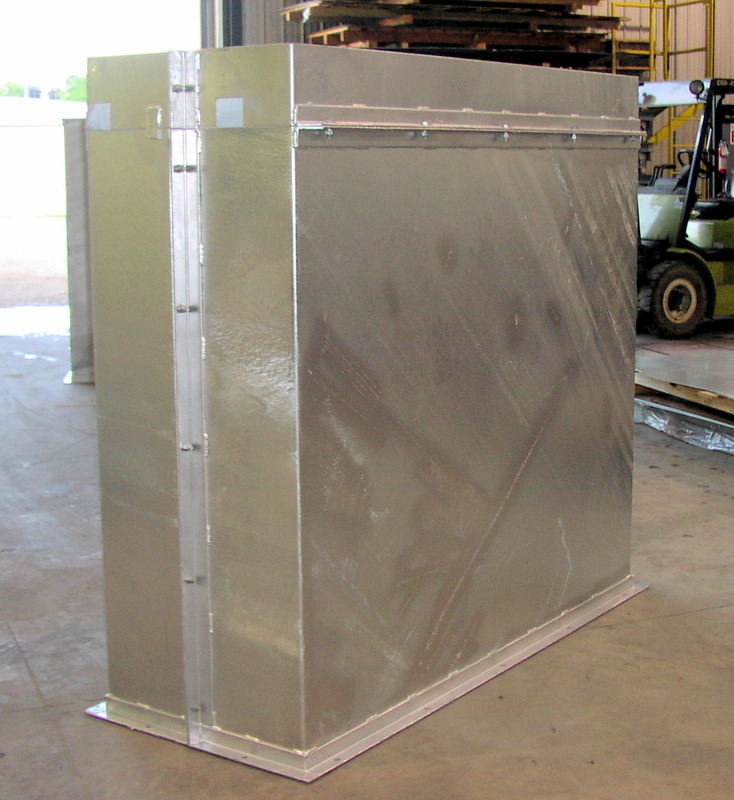 It is fabricated from carbon steel and is hot dipped galvanized coated with weather resistant plating. Designed to act as a shield to surround cables coming up from the ground, it helps prevent electrocution. This unit measures 8′ x 10′ x 3′.